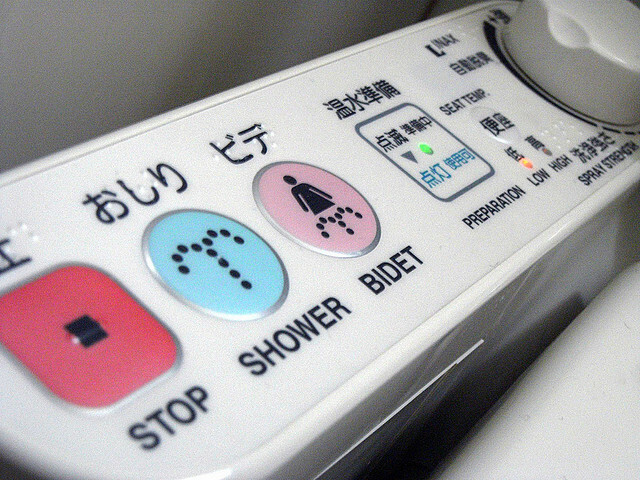 For many visitors to Japan, their first encounter with Japan’s high-tech lavatories is like coming across something out of science fiction. 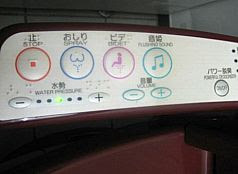 As you step into the washroom, the seat lid lifts automatically and “background sounds” fill the air, allowing the self-conscious to set about their business in private. Later, warm jets of cleansing water shoot from precisely aimed nozzles behind you. 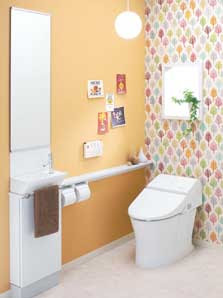 When you stand up, the toilet flushes automatically and an air purifier wafts the surroundings with delicately scented air. 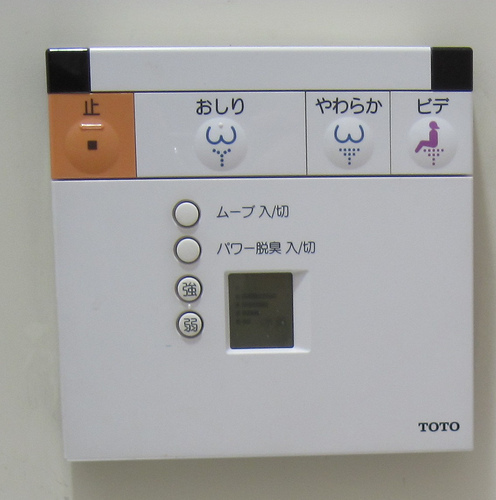 These high-tech toilets are the special province of Japanese companies. 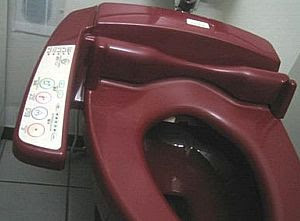 What is the Japanese technology behind these remarkable machines? 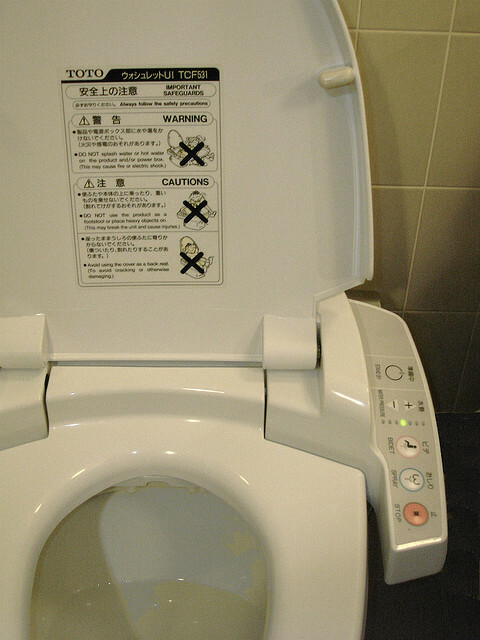 The warm-water bidet heated toilet seat was originally invented in the United States. 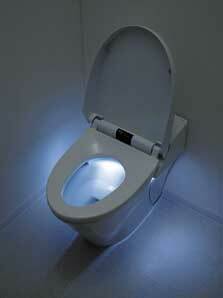 It first appeared in Japan in the 1960s, when it was imported for use mostly in hospitals and care facilities. Domestic production started in the late 1960s, but sales were sluggish at first due to high prices. 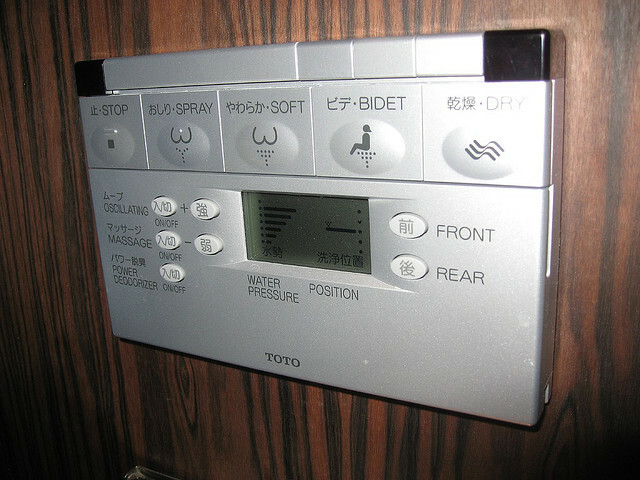 But this original exposure was enough to convince several companies that one day there would be a market for these products in Japan, with its obsessive regard for cleanliness and concern for a sanitary environment. Japanese companies embarked on their own research and development programs. Among these was TOTO, which has the largest market share for high-technology toilets today. 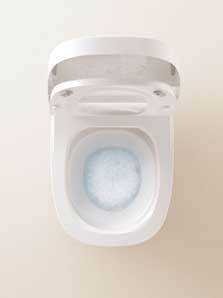 The company’s “Washlet”—a warm-water bidet heated toilet seat—was developed in 1980. 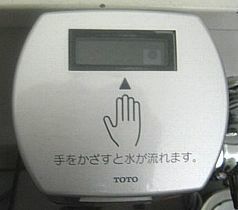 Incorporating cutting-edge Japanese technology in areas such as electronic controllers and water-saving technology, the industry has made great progress in the years since then in improving convenience and cleanliness for consumers. 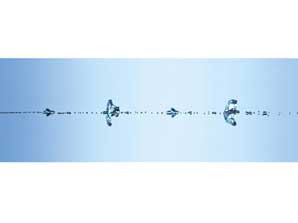 For example, the water that comes out from the cleaning nozzles is not simply sprayed out in one constant stream. By alternating strong jets and softer sprays, it is possible to cut down on the amount of water used without affecting the performance. The latest model allows users to adjust the speed and force of the water and also incorporate an aeration system that puts bubbles into the water. 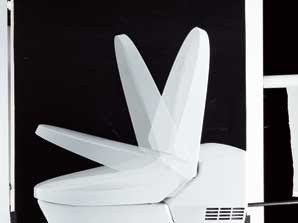 By combining large drops for coverage and small drops for power, the system offers maximum comfort and optimum cleansing. There have also been major advances in water conservation technologies. 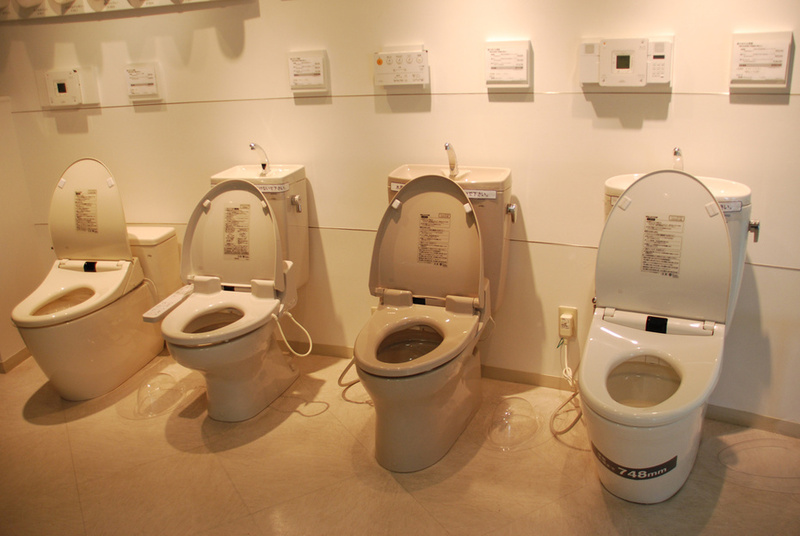 In 1975, the average toilet sold in Japan required 13 liters of water per flush. Today, it takes only 4.8 liters. The principles of fluid dynamics were applied to come up with the ideal shape of toilet bowl that requires the minimum amount of water to flush. Unlike plastic, the shrinkage that occurs when firing ceramics in the traditional way made it impossible to mass produce identically shaped porcelain bowls, but the skills of innovative Japanese craftsmen overcame this difficulty. A ceramic glaze was also applied to the surface of the porcelain before firing, to make it more resistant to grime. 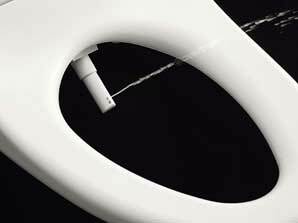 Special pumps create a horizontal and perpendicular whirlpool motion inside of the bowl, making it possible to keep the bowl clean with very little water. Aerated water and a mixture of large and small bubbles ensure cleanliness and comfort. (C) TOTO Ltd.